Roach & Coles sympathetically repairs and alters period and listed buildings, using traditional methods and materials with excellent industry knowledge. They have been working with old buildings for many years and the team understands the complexities and intricacies involved when renovating old buildings and will rectifying any structural defects. 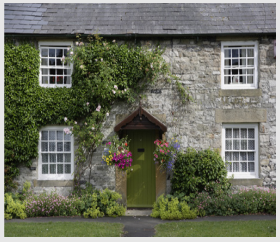 We carry out all aspects of period and listed building renovations, from brickwork and wall cladding to traditional infill panels and paint finishes to the knowledgeable concealment of utilities and services. To ensure that these buildings stand the test of time they can undertake scheduled preventative maintenance. We cover all aspects of domestic building solutions, including house extensions, loft conversions and new builds. We have extensive industry experience and aim to maintain our excellent reputation on each and every job. Our commercial department caters for all building requirements, from very large projects to smaller, more compact jobs. Please contact us to discuss your requirements and to obtain a free estimate. We have a long list of satisfied customers who have put their names to their recommendations, we are more than happy to discuss these in further detail, our helpful advisors are on hand today.